Download Free Polaroid Photo Mockup PSD. A Free PSD Mockup of Polaroid Photo in hand for displaying your memories or photo portfolio in a realistic manner. 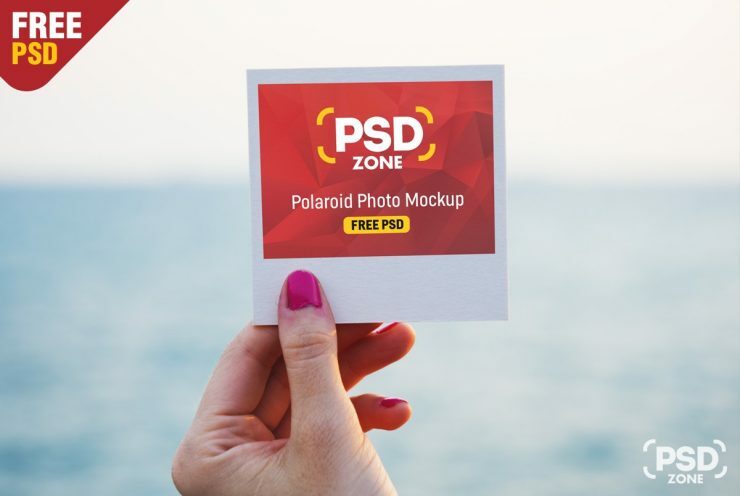 And if you are a photographer then you can also use this Polaroid Photo Mockup for your website header or facebook/twitter cover picture as well. You can easily change the photo and image of Polaroid photo mockup template in just few simple clicks using included smart object layer. It is also useful mockup template for showcasing your Instagram photos and posts in a creative way. Hope you like this Free Polaroid Photo Mockup PSD. Enjoy!